Honey Bunchie LLC of Longmont, Colorado, USA is a typically passionate, family-run, entrepreneurial business. As with many family businesses it started with a great product. 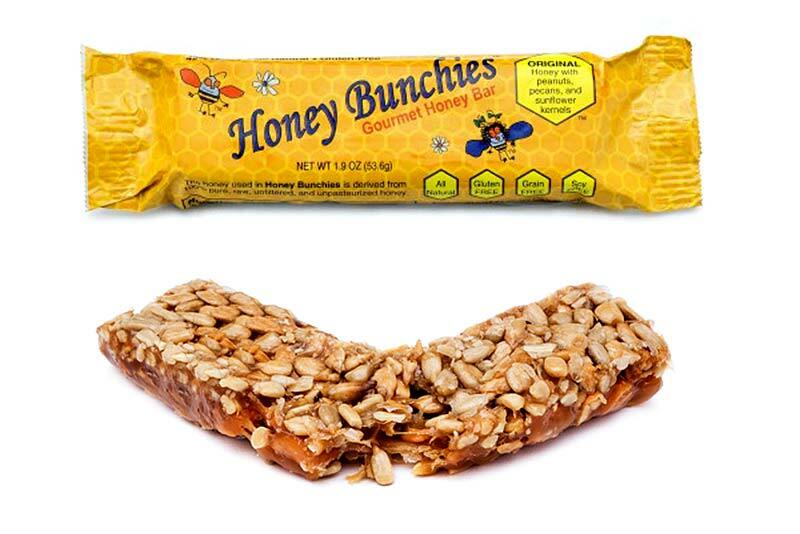 The Honey Bunchies are a Gourmet Honey Bar, with 42% of each bar containing pure Colorado honey infused with peanuts and pecans, then coated with sunflower kernels. 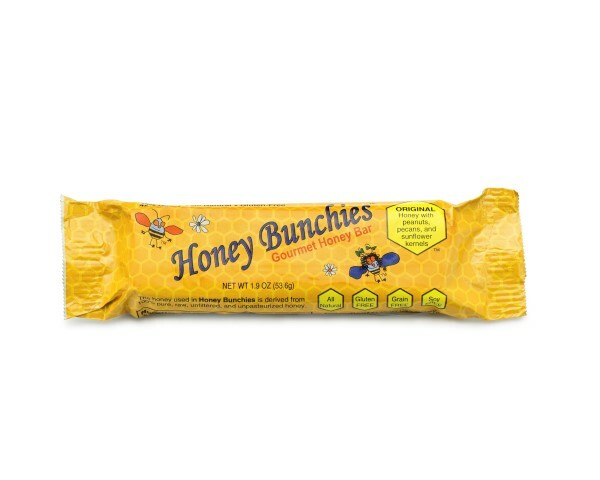 The Honey Bunchies Gourmet Honey Bar comes in a single 1” x 1” x 4” (25mm x 25mm x 100mm) format. 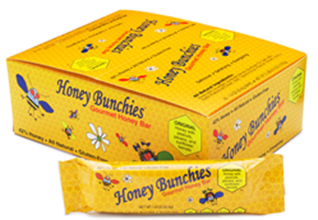 The Honey Bunchie business, family-owned and operated, is having great success supplying to a wide range of retail outlets and direct online retail. However, success can also bring volume and production challenges. 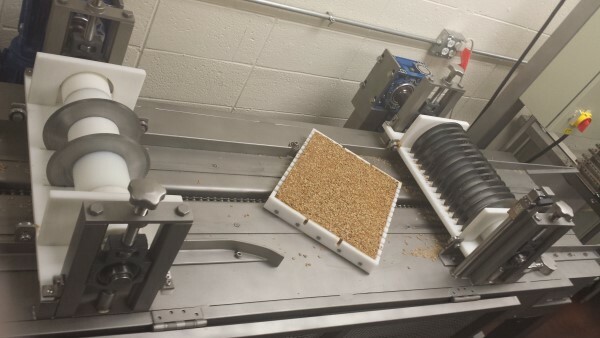 Honey Bunchie produce approximately 10,000 (429Kg) pieces per week. The Loynds Cutter being capable of cutting Fudges, Caramels, Nougats, soft candy and similar products, all into cubes, oblongs and bars is the perfect solution. PLEASE NOTE: The safety guard has been removed for illustration purpose only. As the machine is made with the blades configured to cut the size of one product, further sizes can be cut by having extra banks of blades, which can be quickly changed over. This flexibility offers Honey Bunchie the opportunity to introduce other bar sizes in the future. With both the chain transport system and the rotating blades controlled by electronic variable speed drive units, the differential between these two drives can be varied to allow work with all types of recipes, even if it means cutting through an even tougher product. We wish Honey Bunchie every success in their future endeavors. 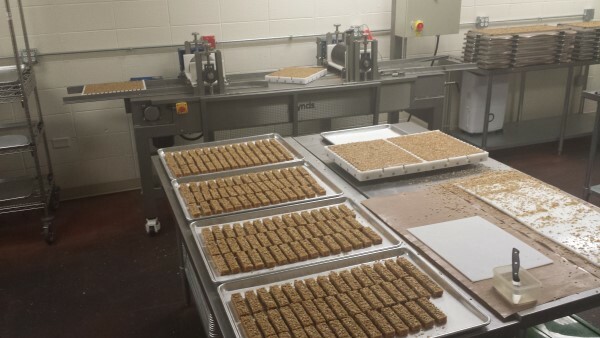 If your company would like to produce bars, cubes or oblongs of fudge, caramel, nougat, soft candy or any other similar product, take a look at our Cutting Machine and feel free to get in touch with us with any questions you might have; we’re here to help.